Dental Crowns are a reliable dental restoration that is used to restore the function of teeth that have large restorations or have had root canal treatment. At Parkview Dental, we are pleased to offer all-ceramic dental crowns to restore function while maintaining the natural aesthetics of your teeth. Dental Crowns are the preferred treatment option for teeth that have fillings that become larger than the natural tooth structure. In addition to large fillings, teeth that have undergone root canal therapy and teeth that suffer from reoccurring tooth decay benefit from Dental Crowns. Dental Crowns are custom made using a variety of materials. Dr. Struan Vaughan and Dr. Earl Pierson use ceramic porcelain; Zirconia based porcelain, porcelain-fused-to-metal, full cast metal and traditional gold dental crowns and suggests the best type of dental crowns for your needs based on various factors such as aesthetics, where the crown is used in your mouth, your dental habits, conditions such as teeth grinding, and your personal preference. A complete assessment will is used to determine the best dental crown for your situation. 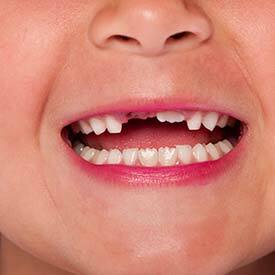 You have a tooth that requires a filling that will exceed the natural tooth structure. Your teeth have extensive damage, tooth decay and/or fracture lines. Your teeth are discoloured and have compromised tooth aesthetics. Your teeth have undergone Root Canal Therapy. After root canal therapy, teeth become brittle and are more susceptible to fracture. Root canaled teeth need to be protected with dental crowns. Your appointment for dental crowns involves shaping the tooth to fit your new crown. We obtain a detailed impression that is sent to our dental laboratory, where your custom crown is created by a professional lab technician. We know that your smile is important to you and restoring the function of your teeth with our Brooks Dental Crowns is one of the many dental health services that we offer at Parkview Dental. to book your new patient consultation today!